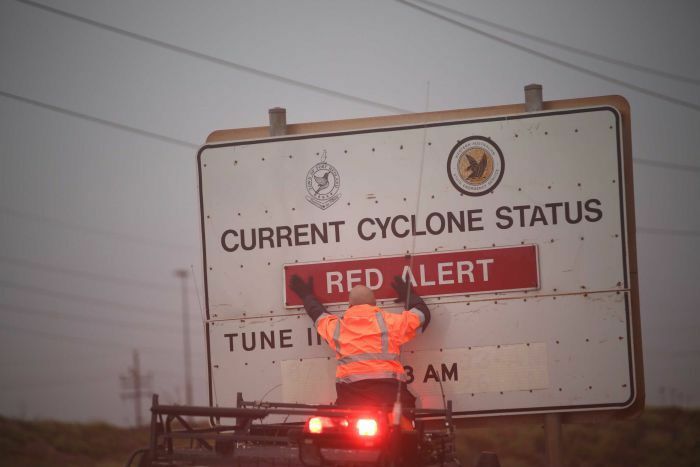 Western Australia’s Pilbara coast is being pummelled by gale-force winds and torrential rain from Cyclone Veronica, with authorities warning the system poses the biggest risk to the region in a decade. 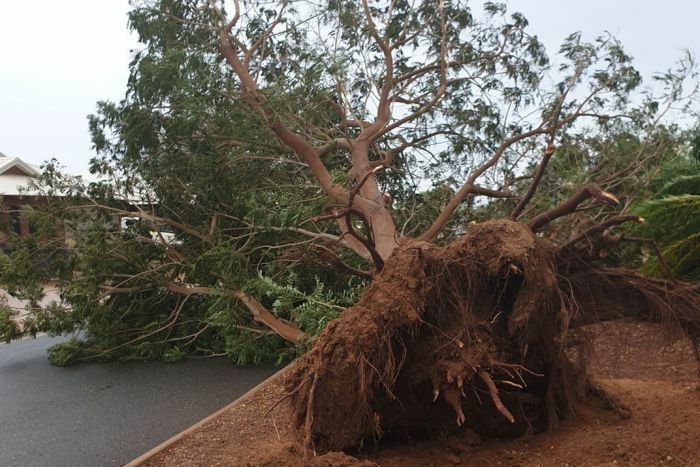 More than 179 millimetres of rain has fallen in Port Hedland in the past 24 hours, with much of it coming down sideways as powerful winds tear through the town. Bureau of Meteorology (BOM) senior forecaster Steph Bond said residents could expect significant falls to continue. “We do expect heavy rainfall over the next 24 to 36 hours … we could see figures up around 200 to 400mm and even isolated 500mm totals,” she said. 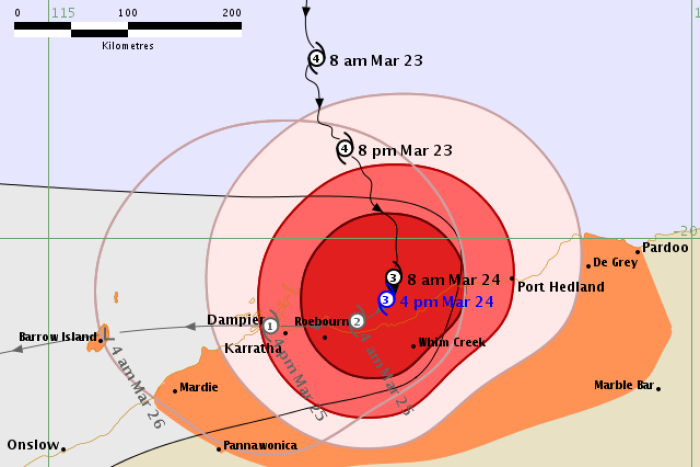 The cyclone’s core has reached land about midway between Karratha and Port Hedland, while its centre is forecast to remain near the coast today and tonight, according to the Department of Fire and Emergency Services (DFES). James Ashley, BOM acting state manager, said the cyclone is significant because it is slow-moving. “It’s located roughly halfway between Port Hedland and Karratha, just off to the north of Wickham, about 40 kilometres off the coast,” he said. “It’s very slow moving, drifting very slowly southwards. 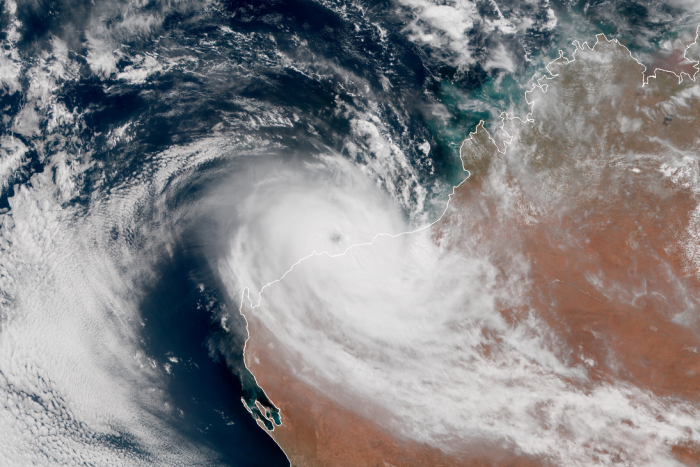 Being a Cat 3 system it’s packing winds of up to 220 kilometres per hour in the core of the cyclone, which is currently impacting the coast midway between Port Hedland and Karratha. “The significant nature of this system is that it’s slow moving, it’s affecting a broad area all the way from Dampier to Port Hedland with gale force winds. 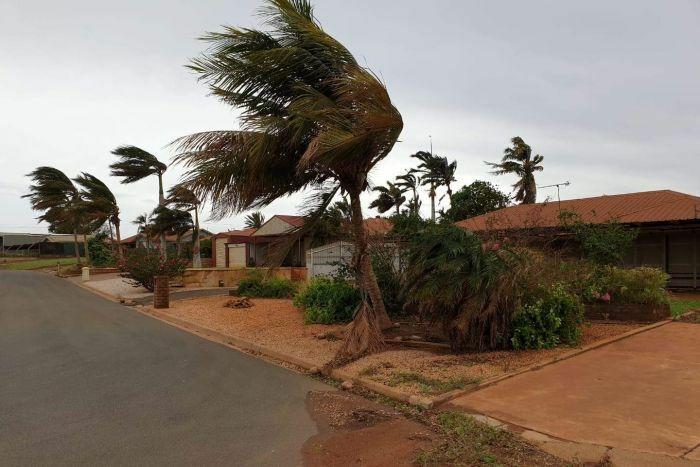 “Being slow moving means those damaging and destructive winds near the core of the cyclone will be impacting communities between Karratha and Port Hedland for much longer than would be expected for a cyclone. “Heavy rainfall will be an issue and lead to flooding through that area. We’ve had falls of over 200mm or more through that area so far, and we expect that to continue throughout today. He said the centre of the cyclone is off the coast and may never reach land. “The main thing here is that the core of intense winds and heavy rainfall is right on the coast at the moment. We’ve seen wind gusts of up to 154 kph just observed at Roebourne,” he said. “That Roebourne, Wickham, Point Samson, Cossack area is experiencing very destructive winds at the moment and you would expect those conditions to be felt all the way along the coast between Karratha and Port Hedland. “So despite the fact the cyclone centre is still off the coast, the conditions are as bad as they’re going to get now right through the rest of today. The BOM has warned that the system poses the highest risk the region has seen from a cyclone in the past decade, particularly with a sustained dangerous storm surge. Mr Ashley said the storm surge risk to Port Hedland was reduced due to where the cyclone crossed the coast, but storm surges could still be significant along the Pilbara coast. Darren Klemm, commissioner of the Fire and Emergency Services, said the safest place for residents was indoors. “What I’d like to say to the people in the red alert area is the safest place for you right now is indoors, we must be clear this system will be prolonged and intense,” he said. “It’s likely you will need to stay indoors for longer than you normally would. We know this might not be easy, but we do know it will be safer. 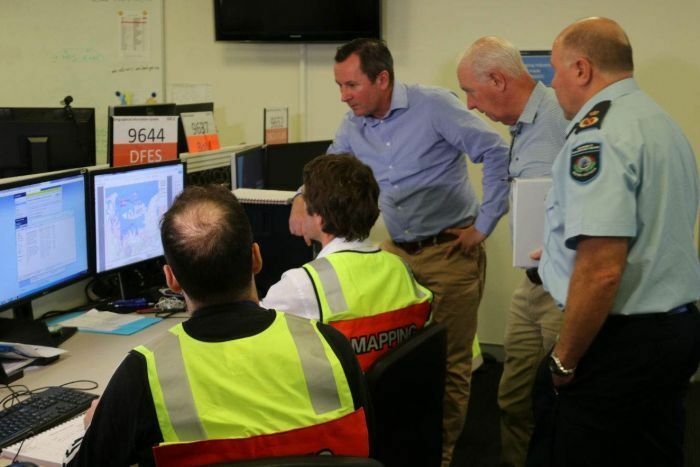 Premier Mark McGowan received a briefing on the cyclone and said it was a very slow-moving and large cyclone that should not be underestimated. “If you live anywhere between and including Karratha and Port Hedland, you need to be very careful and listen to all the advice that is being provided,” he said. Mr McGowan said people who had gone outside to take selfies in the storm were stupid. “They’re risking their lives and they’re risking the lives of those people who are out there trying to rescue them,” he said. Emergency Services Minister Fran Logan thanked all of the emergency workers, police and local shires for the work they had been doing to prepare. 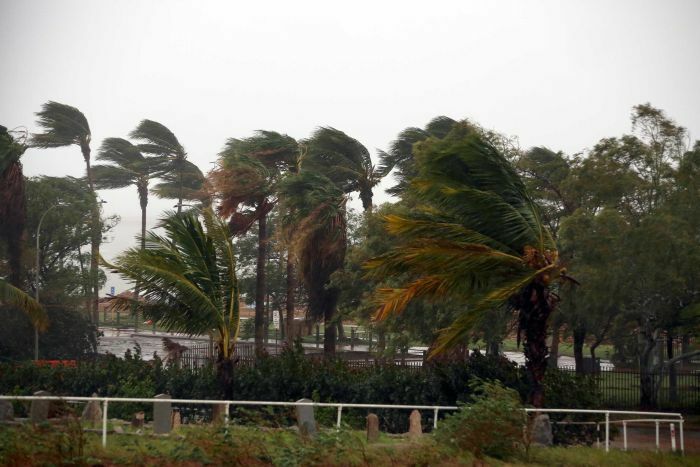 “It’s moving between 8 and 10 kilometres an hour which means that the destructive winds and severe rain will be in the area for a long period of time, up to 12 hours,” Mr Logan said. Mitch, who lives in Wickham, said his street was littered with trees and debris from houses. “Some trees have snapped halfway off and gone down onto someone’s roof,” he said. 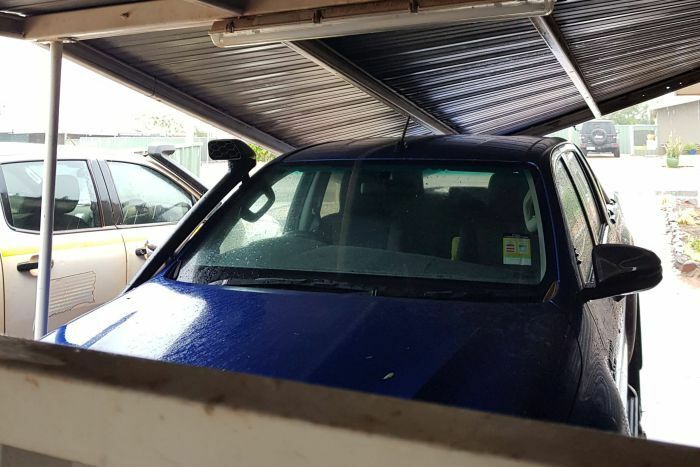 Wickham resident Lizzy Thompson also had her carport collapse on her car during a strong gust of wind. “It’s pretty hectic. I mean it started pretty early last night,” she said. “I lost my tree in the backyard and then this morning I heard a bit of a crash-bang and I lost my carport as well. Point Samson, which is about 10 kilometres from Wickham, has lost power and has been cut off by road. Ms Thompson said she has a friend who lives there. “She’s lost power. It’s pretty hectic … [they are] cut off as well. They can’t even come in if they need to,” she said. A red alert was issued on Saturday afternoon and is current for people in or near communities from Pardoo to Mardie, including Port Hedland, South Hedland, Whim Creek, Point Samson, Wickham, Roebourne, Karratha and Dampier, but excluding Marble Bar. People are being urged to stay indoors and stay away from doors and windows. A yellow alert is current for people in or near communities between Wallal to Pardoo and inland to Marble Bar. A blue alert is current for people in parts of the inland Pilbara, including Pannawonica. Evacuation centres are operating at the JD Hardie Centre in South Hedland and the Karratha Leisureplex in Karratha. In recent days volunteers have been helping to deliver enough food and water supplies to last several days. The Karratha State Emergency Service offered a shuttle service to the evacuation centre for people who did not feel safe to drive last night. New technology is being used to measure the impact of Cyclone Veronica on wave conditions and the coastline. University of Western Australia (UWA) researchers have deployed a buoy to collect data on wave height, direction and duration during the cyclone. UWA Researcher Dr Michael Culter said the technology would help assess cyclones in the future. 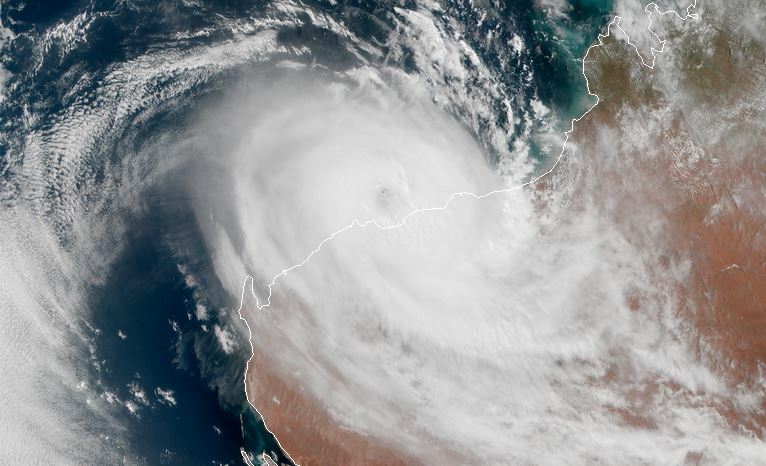 “The measurements we’re taking are some of the first in Exmouth Gulf so they’ll be quite critical for future predictions of what cyclones may do in the region,” he said. A pregnant woman in her mid-20s was transported by ambulance during the red alert to Hedland Health Campus about 5:00pm Saturday. The woman gave birth to a baby girl a short time later. St John South Hedland paramedic Phil Stanaitis attended the scene, and said exceptions were made about going out during red alerts. He said he had helped deliver babies during every cyclone he had been through in the Pilbara region over the last seven years. Three other babies were delivered at the hospital in South Hedland on Saturday, while another was born in Karratha.